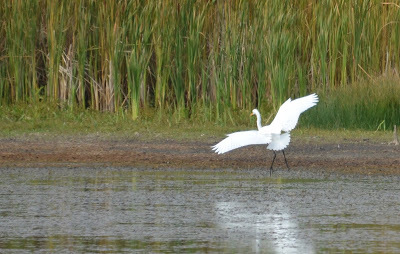 A great egret. One of the many birds that migrate between Canada and the U.S. Under Republican and Democratic presidents from Nixon through Obama, killing migratory birds, even inadvertently, was a crime, with fines for violations ranging from $250 to $100 million. The power to prosecute created a deterrent that protected birds and enabled government to hold companies to account for environmental disasters. But in part due to President Donald Trump’s interior secretary nominee…more here. New Studies Show Farm Chemicals Are Affecting More Than Bees. Bird Populations are Declining, Too. Is modern agriculture's hold on nature becoming a death grip?